With $69 Billion, India Beats China In Receiving Remittances! When it comes to receiving remittances from abroad, then India’s #1 position is still unchallenged, globally. As per a recent report commissioned by Western Union, total of $69 billion was received by India from immigrants settled abroad, which is $5 billion more than what China received from their immigrants. The report titled ‘Remittances and its impact on financial inclusion and development in India’ was commissioned by Western Union and prepared by Edelman India, which is the research and analytics department of Edelman. 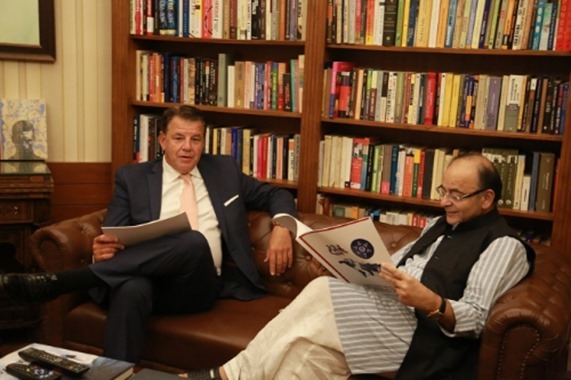 The report was presented to Finance Minister Arun Jaitley last week. Immigrants from Kerala sent maximum remittances back to India. As per the report, 25-30% of overall money sent by Indians settled abroad was received by Kerala, which is highest in India. Andhra Pradesh is at #2 position, followed by Tamil Nadu and Punjab. Although immigration of Indians to Western countries like US, Canada and Australia is increasing, it’s the immigrants from Gulf countries which sent maximum remittances back home. As per the Western Union report, 5 GCC countries (Gulf Cooperation Council): UAE, Qatar, Saudi Arabia, Oman and Kuwait contributed 50% of overall remittances received by India. The report mentions the fact that despite poor oil prices and a recession in these countries, contributions by Indian immigrants hasn’t reduced, infact, it has only increased. How Was The Foreign Money Used? The report also attempted to find out how the incoming foreign money was used by various states in India. As per the findings, majority of the incoming remittances was used for positive impact, which resulted in more financial inclusion, less poverty and improving health and education foundation. States like Kerala and Tamil Nadu used the incoming remittances to support education initiatives of the Govt., provided health care for the poor and encouraged banking services like savings account for all. Besides, debt repayments were also made possible from the incoming remittances. While preparing the report, Western Union interviewed around 52 remittance receivers from states like Uttar Pradesh, Andhra Pradesh, Kerala and Punjab, and found that 90% of them have a bank account, and use it for receiving money from their relatives settled abroad. 63% of the respondents said that education was their main priority while 51.9% shared health care as their main expense from the money received. As per a World Bank report, global remittances has decreased, including India; however, based on the amount sent by Indian immigrants, we are still #1 country globally. "With $69 Billion, India Beats China In Receiving Remittances; Gulf Immigrants Account For 50% in 2015", 5 out of 5 based on 1 ratings.